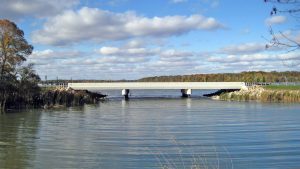 Erickson Engineering has designed hundreds of vehicle and recreation bridges in Minnesota and beyond. Our experience includes a wide range of structure types, sizes, and complexity. In recent years, our main emphasis has been on prestressed concrete beam, reinforced concrete slab, steel beam, prefabricated steel truss, timber slab, timber beam, and timber truss structure types. We also make recommendations and provide design services for rehabilitation and modification of existing bridges. We design associated roadways with consideration for site requirements, related structure design requirements, owner goals, and cost effectiveness. Along with preliminary and final designs, Erickson Engineering provides detailed estimates, construction specifications, construction plans, and related documentation. Our involvement with new design concepts and materials means we draw from a variety of options when recommending appropriate structure types, rehabilitative actions, and materials for your needs.